The Brand Monitoring tool will soon be released out of beta, so everything will be up to speed. Here’s the long-awaited update you’ve been asking us for: meet the revamped Overview report. In addition to a graphical redesign, we have added a few handy and easy-to-use improvements you won’t miss. Ready to check out what’s new? Let’s do it. At the top of the report, you can see the main metrics. All data is shown according to the selected period. By hovering on the difference number, which compares the figure to the previously selected period, you can see a tooltip with an explanation. 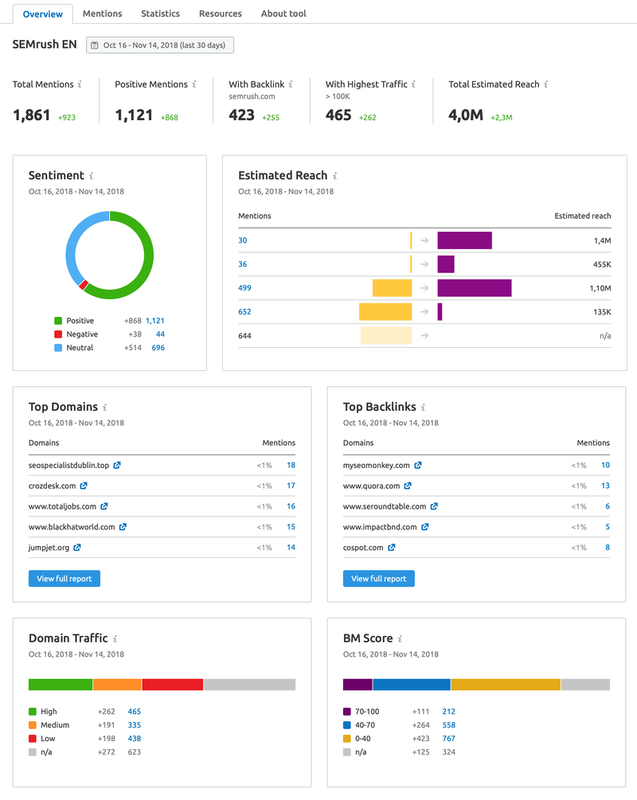 The data on sentiments, estimated reach, top domains, top backlinks, domain traffic, and BM Score is displayed below in handy charts. As the name suggests, the Overview tab provides a quick assessment of the situation with your brand mentions. And now it’s even more prominent and useful thanks to your feedback. 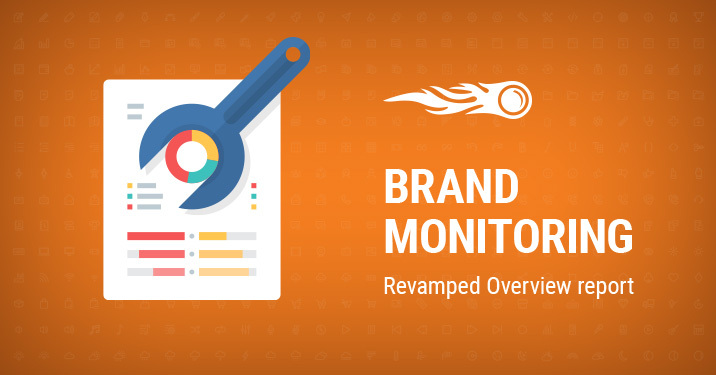 We hope you enjoy our redesigned Brand Monitoring tool and find these updates valuable. Please let us know what other widgets you would like to see in the Overview report – we’ll add them right away! Help us to improve our service by emailing us at [email protected].